There is a lot going on for young people at kbc, on Sundays and throughout the week. Some of the activities are shown below. At kbc we encourage young people to join a small group. Our youth home groups are the best place for young people to experience community and grow in their faith. Groups are organised by school year and meet on Wednesday or Thursday evenings. There are also some small groups at kbc for those who are student aged. FNL is a large scale youth club. It happens on a Friday night at the church from 7pm to 9pm during school term, and it is for those in P6 to S3. The Youth Cafè meets on a Sunday evening after the evening service (8pm). It tends to be a more relaxed social time with games and discussion times. It is for those in S1 and upwards. Many of our young people are involved in 6thirty on a Sunday evening. They play in one of the bands, help with stewarding, take part in interviews, or serve within the prayer team. Equip meets on a Sunday morning during part of the morning services. It is for those in S1 to S6. 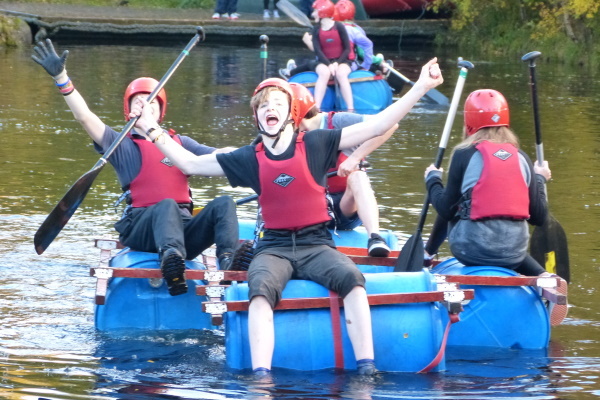 We have a youth weekend away each year and we often take a group to Soul Survivor in Scotland. There are lots of other youth activities throughout the year including Baptist Union events, socials and trips, and even a homework club. Get in touch with the youth team if you would like to find out more.